Our Yorkie puppies will be priced between 5 to 7 weeks of age, this is when you will be able to pick what puppy you would like from the litter in the order your non-refundable deposit was received. Each puppies pricing are varies depending on evaluation of the puppy quality, conformation, gender, structure, temperament & estimate adult weight, along with the type of registration paper. We are firm on our pricing on each puppy we put in far to much work, commitment, time, love and care into our babies to negotiate prices. I do not give discounts for two puppies purchased at the same time. In my experience, my demand is much greater than my supply. Usually our puppies have been sold before they are old enough to go to their new homes. Before put down any deposit to reserve choice of puppy. All purchaser must read agree term and condition on Sale Contract page. 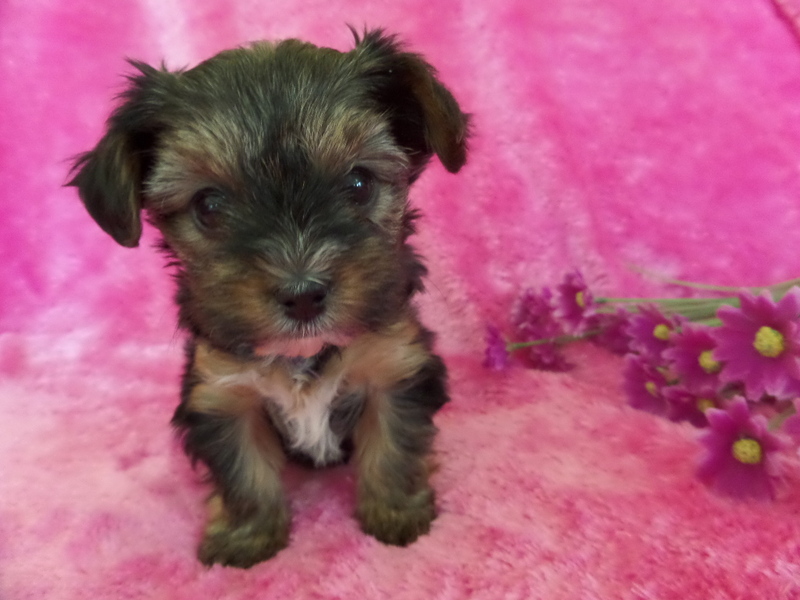 All Yorkie puppies are sold base on a first come first serve basis. This means that no puppy is considered sold until a deposit for particular puppy has been received. No puppy will be held without a deposit in hand. To reserve a yorkie puppy a Non- Refundable Deposit of $300 is required to hold a puppy when the puppy is not ready go to their new home. This deposit will apply to your puppy final price. If you change your mind for any reason, the deposit is NOT REFUNDABLE ! Puppies will go to their new home at 8 to 12 weeks old, depending on the maturity level of the puppy and eating well. The deposit will apply to your puppy final price, Puppy will be held until the balance paid in full when the puppy is ready to their new home. All reserve puppies must be paid in full by 10 weeks of age or other arrangement have been made. If you made payment on the puppy weekly or bi-weekly, the remaining balance / final payment must paid in full and pick up the puppy by 8 to 10 weeks of age. After Seven ( 7 ) days pass due and buyer fail to pay the remaining balance or made payment then the down payment / deposit is forfeited and NO refund will be given unless other arrangement agreement have been made. Puppy will be available up for sale again when buyer fail the agreement. Under circumstances when buyer completed the final payment / remaining balance paid in full and couldn’t pick up reserved puppy on pick up date, seller can hold the puppy for 7 days to pick up later. If after seven (7) days pass buyer doesn't pick up the puppy it will be boarding fees $10.00 per day apply and any Veterinarian Fees for puppy when vaccination as schedule due, this to cover the puppy daily basic needs and Vet visit when needed. We accept payment method through Wire Transfer, Postal Money Order and Cash for Non-refundable Deposit to reserve a puppy. Sorry we do not accept PayPal or Check due to a lot of scam and fraud going on. However before you decide put down deposit to reserved a puppy, we strongly encourage you come over to meet the puppy in person to make sure the right choice of puppy suit you and your family. We will need to know the day and time work for you to pick up your puppy. On the day pick up your puppy the remaining balance will be Cash only ( No Check ).